Wow. Did you see this coming? 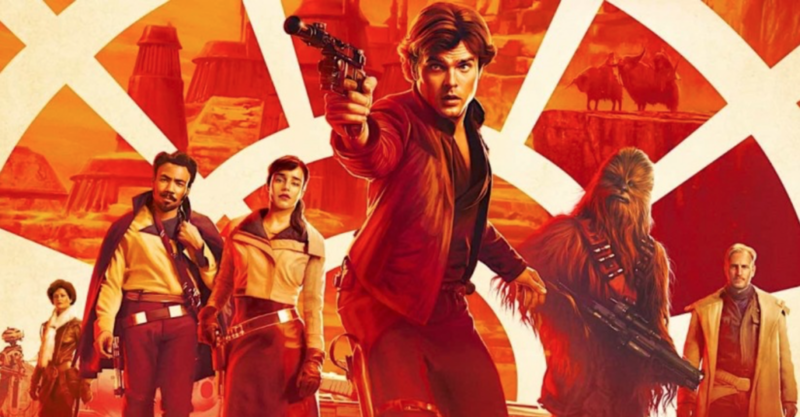 ‘Solo: A Star Wars Story’ didn’t do as well as expected at the box office this weekend – some critics are calling the movie’s performance “disappointing”. Sure, Disney projected a bigger debut but does this really mean anything in the grand scheme of things? Of course the answer is no. No it doesn’t mean anything. In case you’ve been under a rock, the movie is about Han Solo, the younger version with Alden Ehrenreich in the starring role. The movie was directed by Ron Howard, so you know it’s gotta be good! They were calling for a $130M-$150M debut – it fell short at $103M. Funny when a $100M+ weekend is a “disappointment”. Let’s also not forget the fact that both ‘Deadpool 2’ and ‘Avengers: Infinity War’ are still in theatre. That can’t help numbers. Maybe you read the same thing – actor Harrison Ford saw the finished version and was “raving about it”. If it’s good enough for Harrison, I ain’t writing this movie off just yet.